What has America come to. Wow what an era we live in. Do we all remember the saying the good old days. I never thought I would hear myself saying that, but here I am saying it. What has America come to. Its almost unrecognizable. I have never seen so much fighting amongst our selves. The left preaches tolerance, but seems like they are the least tolerant. The right preaches smaller government, but do nothing to correct that. It seems that they are all just out for self. Its sad that it took a tragedy like two major Hurricanes to get the left and right to work together. There seems to be more divide in America than I can ever remember seeing. We need to remember that in the end we are all Americans and we should apologize to anyone for that. America is the greatest country in the World. I don't see people trying to sneak into any other country like they are our Great Nation. People take for granted what they have here. Go visit a third world country then gripe and complain about what you have. Live in a Socialist or Communist country where everything you work hard for is taken away from you and given to others or giving to the government to do with what they like. Remember our Forefathers guaranteed us the right to chase happiness not have the government provide for us. Remember nothing in life is free its has to come somewhere. Its time we break down barriers between the left and right and become one country under God. Wow where has the time gone. It seem like yesterday I posted on here, but its been three weeks. Well today is mothers day. Its a bittersweet day for me. You see I'm married and have a daughter so its a wonderful day to celebrate with my family, but this day also holds a very painful memory for me. On Mothers day 19 years ago my mom died in my arms. From cancer caused by smoking. So for all of you that have your mom give them a hug and let them know what they mean to you and how much you love them. For those who have lost their mothers here is a hug form us. 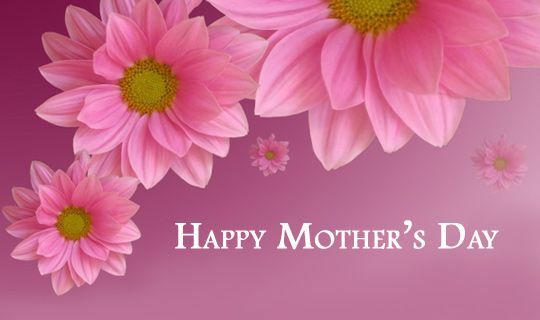 Happy Mothers Day to all the moms who are here and who have passes. AT WHAT AGE DO WE TEACH KIDS ABOUT GUNS! At what age do we start teaching out kids about guns. This is a debate that could go on forever. The thing is most accidental shootings involving kids happen because the kids stumble across mom or dad's gun and are curious. I personally started teaching my kid about firearms at a young age and she was shooting with my help at the age of 6. I know a lot of people are going to go OMG, but she has also been taught to respect firearms for what they are and what they can do. She know not to touch a gun without me being there. This is mostly if she is at a friends house or if someone has a firearms with out an adult. She knows to leave and come get me or another adult. Please pray for the families of the Shooting that occurred today. Pray that they get the help and comfort they need. If your ever on west River there in Comstock Park, MI. Stop in at a little place called Maddogz Hotdogs. This place is great. They have some of the best combinations for their hotdog you can imagine. 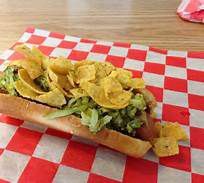 I had the Goofy, which is a chili dog with peanut butter, pickles and corn chips on it. I never thought any of that would go together, but it was AWESOME. Not only is the food great, but the owner and workers are great also. They make you feel at home with great service and fantastic conversation. On a scale of one to ten I give this place a 10+. Stop in and tell them Jeff from Defensive Shooting sent you, you wont be disappointed. The address is 3920 West River Drive in Comstock park. I also put a pic of the Goofy for you to see. So how many people are for Constitutional Carry in the State of Michigan. I'm hearing people say they are for and I'm hearing them say they are against. I can see the rationality on both sides of the debate. On the for side. It is your Constitutional right to bear arms and this right shale not be infringed. This seems to be the argument on the for side. On the against side. I'm hearing this will give the bad guys the rite to carry concealed. Also hearing that with CPL License the way they are now means people have to go through training to be able to carry concealed. Its crazy how time fly's by. We have so much on our plates and looking towards the future we forget where we have come from. Always remember where we have come from and it will give us a direction towards our future. Epically when it comes to Keeping out eyes on Christ. With him we know out past, but don't have to worry about it anymore now we only have to look back to see how much we have grown. We will always have a future and a direction as long as we keep our eyes on him. copy and past if you need to.